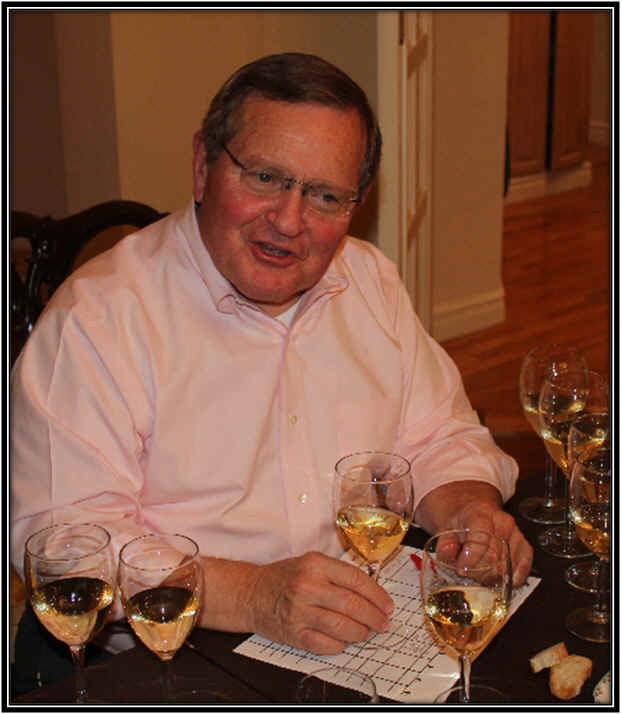 This month's tasting was hosted by Mark Naismith who wanted to taste a range of Chardonnay wines, with some entries from France's Burgundy region pitted against some California competitors. 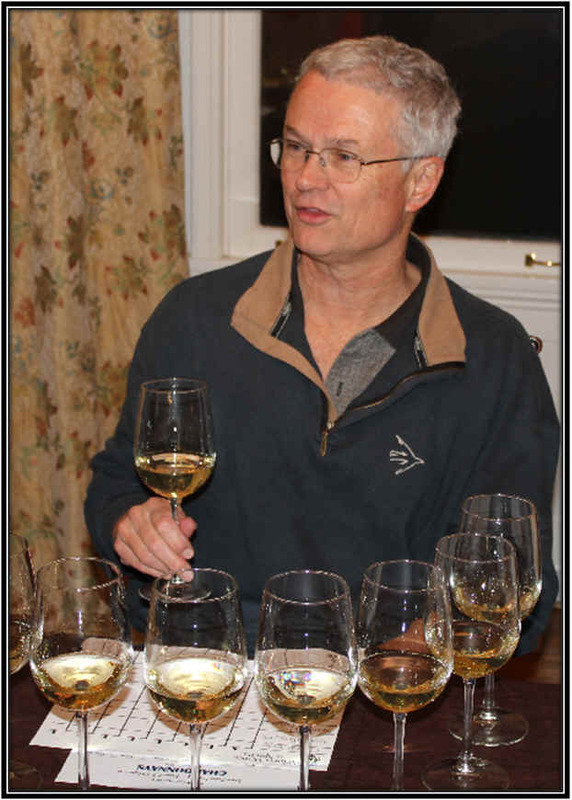 We had 7 wines from the 2010 vintage and a look at a brand new bottling from 2011. For the French, we picked two small domaines with modestly-priced wines and one from a large, well-regarded negociant house. From California, we had wines from three producers who are known for Chardonnay and two new wineries with great aspirations and lofty prices. 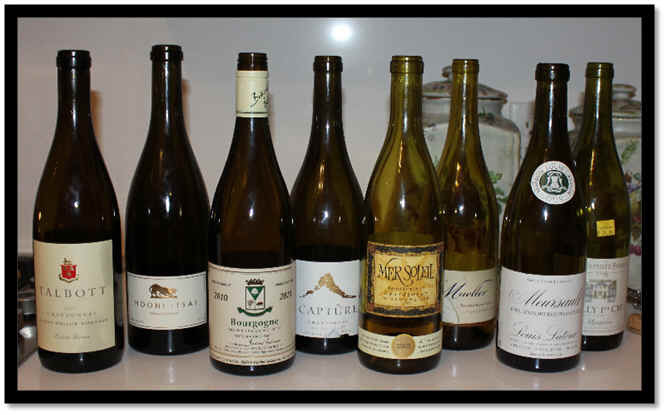 One wine was slightly ahead of the pack, with second place through sixth place separated by a mere 8 points, meaning those were essentially tied. Two wines finished behind the group and yet each had a first place vote! 8th Place: JEAN-BAPTISTE PONSOT 2010 RULLY 1er Cru "Monpalais"
Clear in appearance and with a medium-yellow hue, this wine showed itself as a classic, beautifully balanced white Burgundy. I liked the stony, minerally qualities on the nose, with nice apple-like fruit. There's a touch of wood there, but it's merely an accent to the fruit and stony notes. This is bone dry and nicely acidic. The flavor shows a Granny Smith apple tone and some stony elements. Very fine. I gave it two stars on my three star scale, no stars being an ordinary or standard wine. Clear in appearance and light yellow in color, there was a hint of a baked apple fragrance here with a faint hint of wood. It's quite dry and nicely crisp on the palate. I found this to be merely a "shell" of a white Burgundy, as it had no soul or intensity. After unveiling this I thought I've tasted good, simple Macon wines of this quality level for well less than half the price. No stars from me. 6th Place: MUELLER 2010 Russian River Valley CHARDONNAY "LB"
Clear and medium+ yellow in color, this wine was a bit of a disappointment to me. I've long been a fan of Mueller's wines...this didn't show much, though (and the wines were not 'ice cold' which would have muted the aromas). I coaxed a lightly smoky note out of it on the nose...dry and nicely acidic on the palate...medium weight...woodsy...simple...standard. Maybe a half star rating, but this was of little interest. 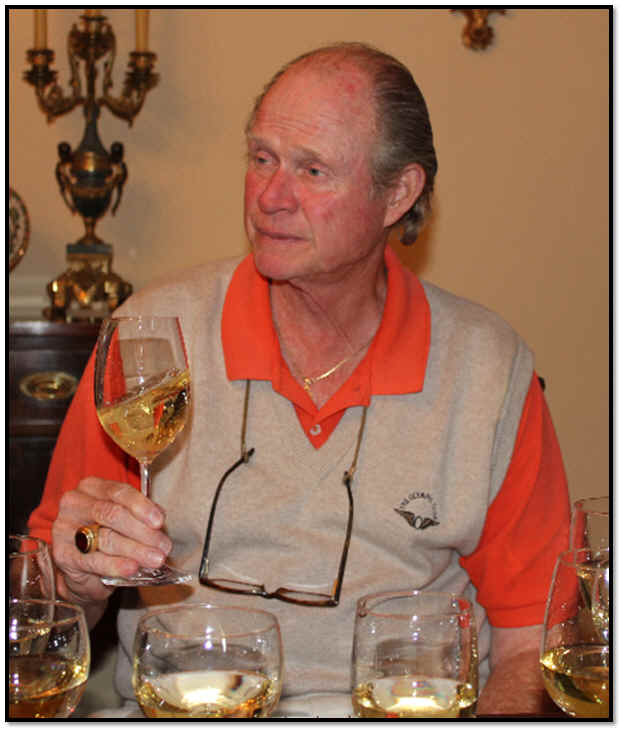 The Wagner family of Caymus fame owns this brand and used to make an attractive, creamy, mildly buttery Chardonnay. This vintage shows a clear wine with a deeper yellow color, almost brassy. The aromas offer notes of honey mostly, with hints of caramel and a touch of wood. I'm not sure if this is totally dry and the acidity seemed low. It's a big, flat wine...and that's in a blind-tasting setting! Imagine how flat this will taste with food. The winery web site tasting notes describe this as showing notes of "pineapple, peach, citrus notes and banana." They also find it to be "rich and luscious," with "bright acidity." Perspective. It's all a matter of perspective! No stars from me for this caricature of a Chardonnay. Clear in appearance with medium-yellow color, this wine was a bit quiet on the nose. I found a lightly toasty quality and a hint of smokiness. Perhaps it has a touch of sweetness, though not bothersome...the acidity is of a moderate level. Medium bodied, this is a nicely fruity wine with bright appley notes and reasonable length. Perfectly pleasant, if ambitiously priced. One star. Clear in appearance and medium yellow in color...this wine showed itself to be extremely stylish and a wine with lots of lees-stirring (battonage is the technical descriptor in French). There's a really intensely toasty quality on the nose...very smoky...If you like this style of wine which is a bit more typical in higher-priced White Burgundies, this is a real treasure! It's dry and quite crisp, having good acidity. Medium bodied...Toasty, smoky flavors...I loved this wine but your mileage may vary. Two stars. Medium yellow in color and clear in appearance...This showed nice fruit...apples framed by a light bit of oak. It's dry and balanced in terms of acidity. Medium to medium+ bodied...Creamy notes on the palate with light oak and pear-like fruit flavors...good wine...I'm not sure it's quite worthy of its lofty price tag, but I gave it a one to one-and-a-half star rating. 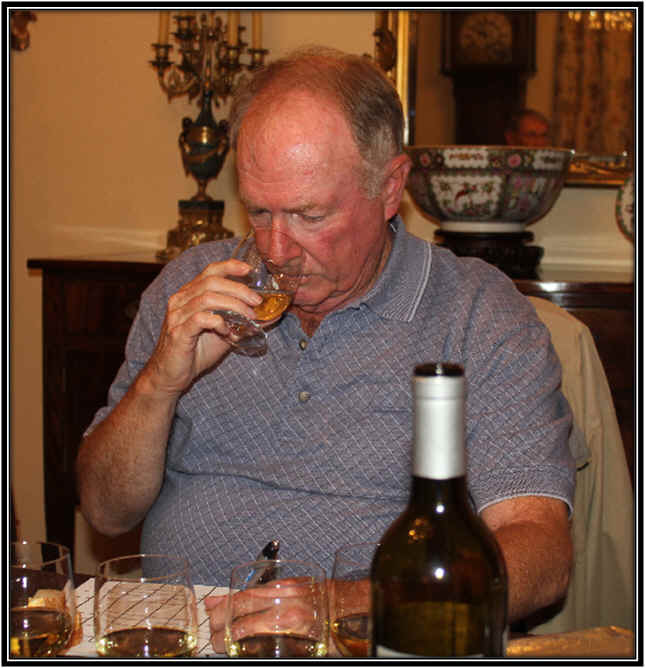 Light yellow in color and really spotlighting "CHARDONNAY" on the nose and palate. 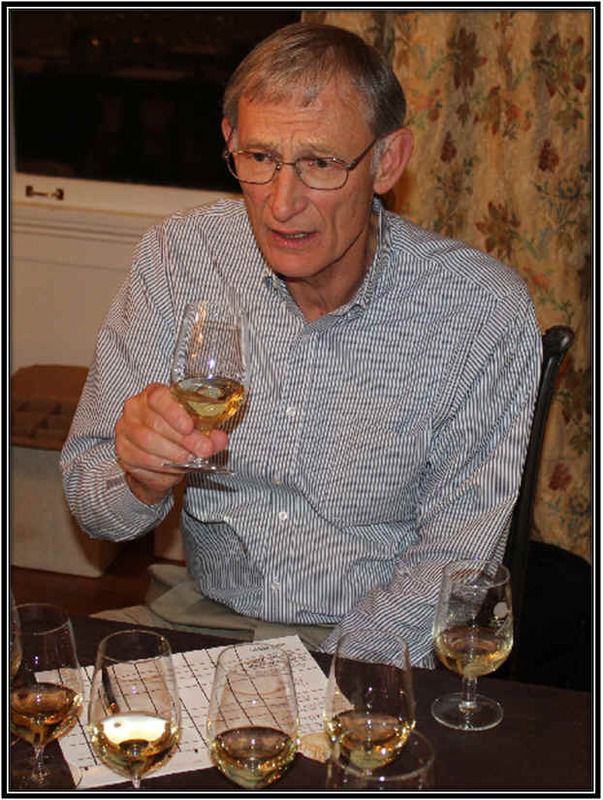 Talbott has been, in my view, one of the most inconsistent producers of Chardonnay over the past decade, or so. Years ago the wine was lavishly oaked...at one point they made a really leesy wine...then they became a bit sweet and fruity. This, then, was a pleasant surprise. The fragrances are of Chardonnay. 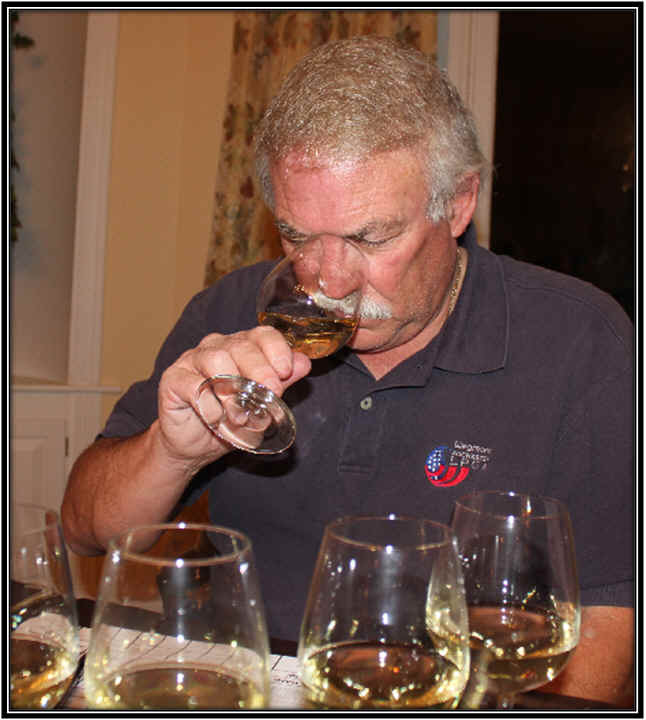 Now, so many Chardonnays are over-cropped, producing wines of little aroma and flavor, that it takes an oak barrel or some aromatic variety to give the wine a bit of character. This bottling really displays quite handsomely the Chardonnay variety without all the oak, toast, smoke or butter. Crisp and dry with notes of quince and apple...I gave this a one-and-three-quarter star rating but probably it's worthy of a two star designation.